Paint and Sip – Long Beach, CA - "Happy Buddha"
Paint this lovely “Happy Buddha” with The Paint Sesh at Q Smokehouse beautiful Downtown Long Beach, CA. If you’re an Buddha lover, or just enjoy drinking while crafting in general this is the painting for you! 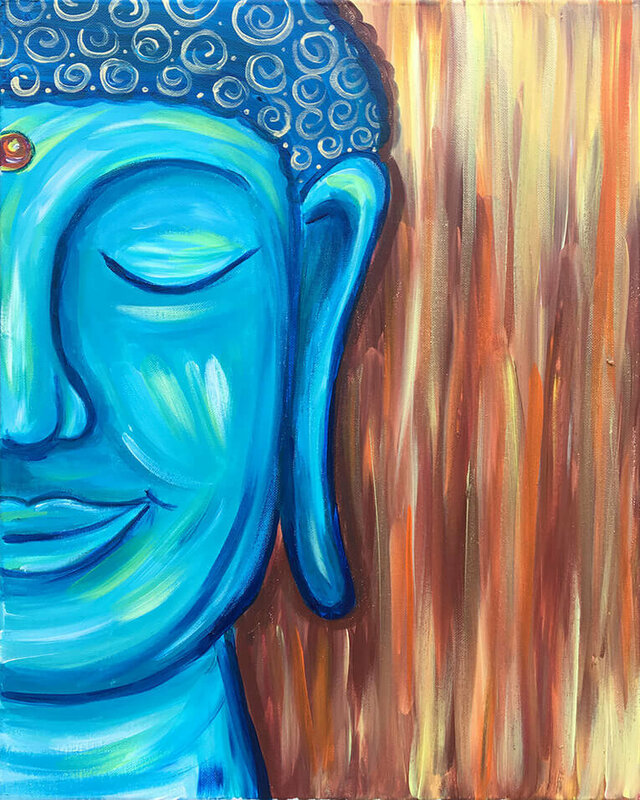 Enjoy a tasty drink from the venues bar while painting this fun Buddha inspired painting. The instructor will guide you and your friends through two hours of lively creativity, fun and lets be honest, art is a form of therapy, sometimes you just need a night out! The best part? You don’t have to be an artist to have an amazing time. -CHEERS! We recommend for you to arrive early at least 15 minutes before the event to get checked in, grab a drink, and get yourself preferred seating.